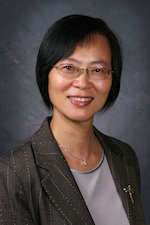 Judy Jin, PhD, is Professor of Industrial and Operations Engineering in the College of Engineering at the University of Michigan, Ann Arbor. Advanced quality control methodologies for system monitoring, diagnosis and control with temporally and spatially dense operational/sensing data. Multi-scale data transform and high order tensor data analysis for modeling, analysis, classification, and making inferences of multistream sensing signals. Optimal sensor distribution and hierarchical variable selection methods for system abnormal detection and sensor fusion decisions, which integrates the causal probability network model, statistical change detection, set-covering algorithm, and hierarchical lasso regression. A unified approach for variation reduction in multistage manufacturing processes (MMPs) using a state space model, which blend the control theory with advanced statistics for MMPs sensing, monitoring, diagnosis and control, integrative design of process tolerance and maintenance policy considering the interaction between product quality and tool reliability. 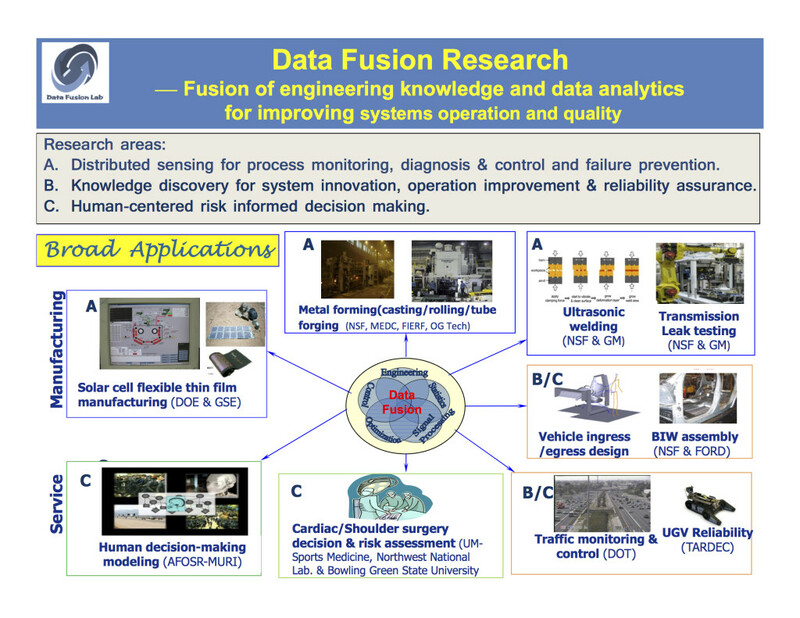 Data science applications: (a) Smart manufacturing with sensor fusion, process monitoring, diagnosis and control (e.g., metal forming including stamping, forging, casting and rolling), assembly, ultrasonic welding, photovoltaic thin film deposition. (b) Travel time estimation and traffic prediction for intelligent transportation systems. (c) Multi-stream data analysis of human motion/vehicle crash testing data for improving vehicle design and safety. (d) Risk informed decision support for healthcare and clinical decisions. (e) Customer behavior modeling for fraud detection in healthcare and telecommunication. (f) Human decision-making behavior modeling in a dynamic/emergency environment.